In Part 1, I explained the concept of a web-based time tracking tool for professionals that bill on an hourly basis. I walked you through building the basic skeleton of the application and showed you the business logic for adding, listing, and editing customer projects. I also explained how to launch a MySQL database instance on IBM Cloud and connect it with the tool. 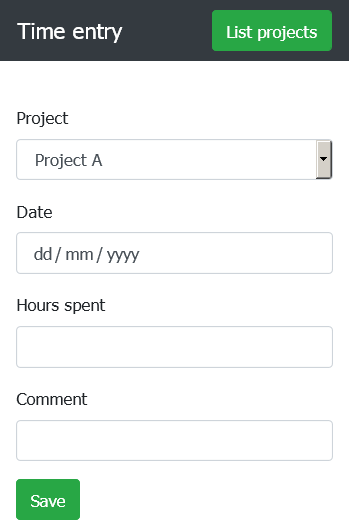 In this second, concluding segment, I complete the application by adding the ability to record the time spent per project. 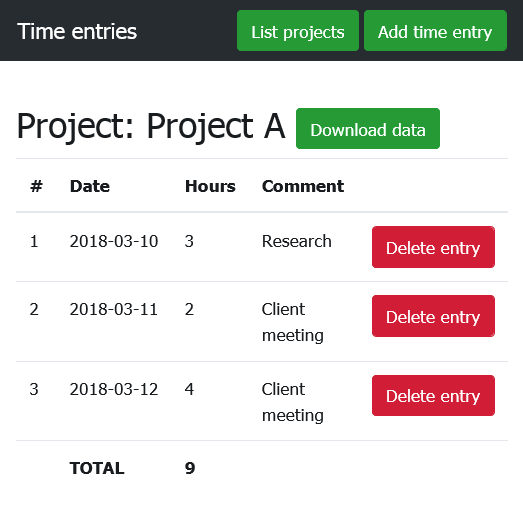 I show you how to retrieve and aggregate time entries to generate reports of hours worked per project, both online and in a structured format suitable for download and further processing. Finally, I walk you through the steps to upload and deploy the application on IBM Cloud, so that it’s online and available in the cloud 24/7. 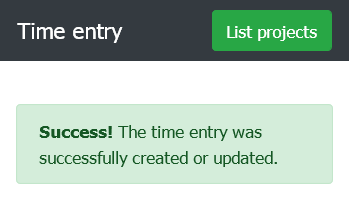 <strong>Success!</strong> The time entry was successfully created or updated. Build your next app quickly and easily with IBM Cloud Lite. Your free account never expires, and you get 256 MB of Cloud Foundry runtime memory, plus 2 GB with Kubernetes Clusters. Get all the details and find out how to get started. And if you’re new to IBM Cloud, check out the IBM Cloud Essentials course on developerWorks. The first handler (GET requests) is responsible for rendering the form. It performs a SELECT query on the MySQL database to retrieve a list of projects. This list is then passed to the view template, where it is used to populate the project list selector. The second handler (POST requests) is triggered when the form is submitted. Similar to the project addition/modification routine you already saw in Part 1, it begins by sanitizing and validating the form input to ensure, among other things, that the date provided is a valid date and that the project ID and number of hours are in the correct format. Assuming all tests pass, this handler generates and executes an INSERT query to add the new time entry to the entries table in the MySQL database, and returns control to the user via a success notification. As you continue recording the time spent on your various projects, you’re quickly going to start wishing for a way to see the total time spent per project, both to analyze the effort you’re putting in and to ensure that you’re not exceeding your client’s budget. This handler accepts GET requests for the /entries/ID URL, where ID refers to the project ID. On receipt of such a request, the handler first checks the projects table to ensure that the ID provided refers to a valid project. Assuming it does, the handler then uses the same project ID to return a list of all associated time entries from the entries table, ordered chronologically, and passes this list to the template. You will notice that each entry in the table includes a link to delete the corresponding record, and the entry ID is included in the link as a URL parameter. Let’s look at that next. Nothing too complex here. The handler accepts a time entry ID and executes a DELETE query for the corresponding record on the database. The user is redirected to the project list page following successful deletion. In Step 2, you saw the business logic display a summary report of the time worked on a project. Usually, this is not enough: There are many cases where you would want this same report in a structured, downloadable format, perhaps to email to a client or to perform more complex calculations. Since most of the hard work of retrieving and aggregating the individual time entries is already done by the /entries/ID handler, you can leverage this same handler to produce a CSV-formatted file instead of HTML output. Reusing existing code in this manner is a good example of the DRY (“Don’t Repeat Yourself”) principle, and also saves you some time. This revised version of the handler now serves two purposes: A request without the download flag triggers the same HTML response as before, while a request with the download flag creates a custom Response object with all the headers necessary to trigger a browser download prompt. In order to connect to the ClearDB MySQL instance, the PHP application needs the database host name, username, password, and database name. You have already specified this information in the application configuration file. However, as an alternative, you can connect the database instance to the application and import these credentials directly from the IBM Cloud environment. At this point, the application is complete, so all that’s left is to deploy it to IBM Cloud. First, create the application manifest file, remembering to use a unique host and application name by appending a random string to it (such as your initials). If you choose to import the database credentials from the IBM Cloud environment, bind the ClearDB instance that you initialized earlier to the application as shown below. Remember to use the correct ID for the service instance to ensure that the right instance is bound to the application. You can obtain the service ID from the IBM Cloud dashboard. shell> cf bind‑service timetracker‑[initials] "ClearDB Managed MySQL Database‑[id]"
You should now be able to browse to the application at http://timetracker-[initials].mybluemix.net and see the welcome page. In case you don’t see it, you can check the debug log. The goal of this article has been to show you how to build a useful application that can run entirely online, using a cloud database and cloud hosting infrastructure. IBM Cloud’s ClearDB database service, coupled with the PHP CloudFoundry buildpack and some framework glue, makes it easy to build database-backed PHP web applications without your having to worry about infrastructure security and scalability. If you’d like to learn more about the services and tools discussed in this article, start by trying out the live demo of the application. Remember that this is a public demo, so you should be careful not to upload confidential or sensitive information to it. Then, download thecode from its GitHub repository, take a closer look to see how it all fits together, and start modifying it to meet your own requirements. Happy coding! Write a cloud Java microservice that connects a Databases for MongoDB datasource and showcases sample CRUD operations.